It’s already been three years since a devastating earthquake shook Haiti to its core—35 seconds that came suddenly and left misery and despair in its wake. As I traveled to Haiti, through the Dominican Republic, three days after the earthquake I could not miss the multitude of vehicles trying to cross the border into Haiti. It was chaos. The landscape was changed and the landmarks no longer standing. 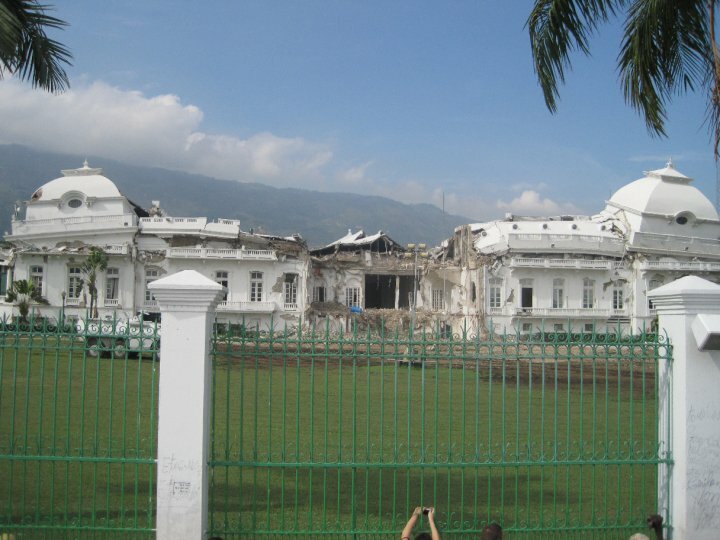 Our most prized monument, Le Palais National, was distorted, leaning, and partially crumbled. To see this symbol in such a state was to question our national identity. In the evening, I drove around Port-au-Prince in areas such as Petion-Ville and Delmas. It wasn’t long before I experienced life in a way that was so amazing! In the aftermath of this devastating earthquake, I watched people milling on the streets, selling their goods “uptown” now as opposed to “downtown,” because all the buildings that used to house these merchants had collapsed and left debris everywhere. I remember the despair I had while at home in the US watching the news and here I was, in Haiti, listening to the noise of Port-au-Prince, the people selling and talking and coping the best way they knew how—wow! Such resilience! Soon after, I left Port-au-Prince to head to Zorangé, the community in which we’ve been working for more than 10 years. I needed to visit my collaborators, friends, and family. The trip was an adventure because the roads were still largely impassable, but somehow, I got there. While I did witness shock and devastation in Zorangé, it was not as severe as that in Port-au-Prince and Leogane. At that point, our work in Zorangé was to help families repair their homes by donating cement to those that could not afford it. We also worked with the community leaders to find ways to help their neighbors with the reconstruction or repair of their homes. Fast forward three years to today and you will still see signs of despair in Port-au-Prince. There are nearly 500 tent sites that have yet to be vacated. Debris removal in some parts of the city still remains a challenge for the mayors and the city commissioners. Plans to rebuild downtown and uptown are just plans. Nothing concrete has taken place in terms of building a better Haiti and establishing an infrastructure that would enable the country to grow, develop, and prosper for generations to come. Three years later there is still plenty to do in Port-au-Prince, Leogane, and throughout the country to start to give kids born today a hope for a better tomorrow. Hope For Haiti Foundation’s work continues away from the big cities, in the remote areas of Haiti. The challenges that Bainet and its districts face today have been there since Haiti’s independence. Kids still may not have a chance of ever setting foot in a school, either because they are too far from home or their parents can’t afford to send them. This lack of access to education continues to force youth to make a living in subsistence farming, through which they may be lucky to make $360 for the entire year. With at least a 9th grade education in Haiti, a yearly salary could be as high as $1500. A student can make up to $7500, depending on how long they are able to stay in school. Further, we know today that there are hundreds of kids that die during childbirth or soon after because there is no access to a clinic or to a health professional in these remote areas. A small infection that could easily be treated can become life-threatening due to the lack of accessible health care. So our work continues in these locations, and it could not be possible without partners like you that have enabled us to exist for 13 years and counting. As we continue to build partnerships with the communities in churches, clinics, and schools, we can be sure we’re providing options and opportunities for the citizens and quality of life will continue to improve for generations to come. We will never forget the catastrophe that left our beloved Haiti in such disarray and despair. Haiti has yet to fully recover, but we still have hope. Though the results today may be slim and disheartening, we cannot and will not accept any alternative: we must hope for a better Haiti. Thank you so much for your support! We look forward to a fantastic year, to building a better Haiti, and to continuing the strong relationship with our community and with you. We are so excited to see what the future brings!